Note: You may download this sermon at no cost, for personal use or for use in a Christian ministry, as long as you are not publishing it for sale. All I ask is that you give credit where credit is due. For all other uses, please contact me at mark@markdroberts.com. Thank you. Today I'm beginning a new preaching series that will carry us through until the end of the year, with a brief detour during our capital campaign. I must admit that I am surprised to be doing this series at this time. It was not my plan, right up until a couple of weeks ago. I had another wonderful series in mind, something that will now have to wait until next year. Why did I change my plans so drastically? Well, it all began in late August when I started charting out my fall preaching. Before putting my fingers to the keys I did a sensible but sometimes unsettling thing, and set aside an extended time for prayer. The focus of my supplication was simple: Lord, what do you want me to preach this fall? What is your agenda for our church, and therefore for my preaching? • We're about to finish building the Administration and Youth Center, a phenomenal ministry tool which, among other things, will turbocharge our youth ministry. • We're about to begin something we call a "capital campaign." Yet in many ways this is a misnomer. A capital campaign is about so much more than raising capital. It's mostly about saying to God: "Okay, Lord, what is your vision for this church? And what is your vision for me?" • Another thrilling opportunity I mentioned in a sermon in July, though you might have missed it. We're in the process of developing a "fourth service" for weekend worship, in addition to Saturday Evening and two on Sunday mornings. This “fourth service” will take place after our current second service on Sunday. It will be edgily band-led in form, as we seek to draw into worship not only young people from IPC, but also people in our community who would prefer to worship in this genre and who aren’t apt to do so on Saturday night. 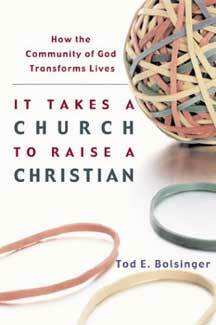 • Many of the challenges before us come in existing ministries. Mommie Time, our fellowship for mothers of young children, has already hit its current capacity, and desperately needs more volunteers to take care of kids so we can reach out to more mothers in our community. Our high school ministry, under the leadership of our new director, Eric Smith, is already being stretched and blessed, and there’s much more to come. Our seniors are debuting a new ministry called Primetimers. And so it goes, on and on. As I prayed about all of these challenges, I thought of how easy it is in such a time to get distracted, or to think buildings are the most important part of church, or that raising money is the main thing, or that vital Christianity depends on new programs. As much as all of these things can be valuable, they can also take our eyes off of what really matters in church. We can end up majoring in the minors and minoring in the majors. This is true, I might add, not only for churches, but also for individual Christians. It’s so easy for you and me to get excited about some new program or mission, and, before you know it, to lose touch with what’s most essential in the Christian life. So, the more I prayed, the more I came to believe that God wants me to preach on the basics of church life and discipleship. In this context, we'll be able to see our challenges and opportunities from God's perspective. You could call this series "Back to Basics." But I'm not particularly fond of the "going back" idea. I want IPC to move ahead in God's plans for us. And I want us all to move forward in our personal discipleship. So, if you'll pardon the peculiar play on words, I am calling this series "Forward to Basics." I want us to move forward together by becoming stronger in that which is most basic and essential to our life in Christ. My plan for how I'm going to structure this series received providential confirmation last weekend. Tim Avazian preached, you may recall, on Acts 2:42-47, that marvelous summary of the earliest Christian church. What Tim did not know was that I was planning to preach on this very text, not just for one week, but for eleven! I will devote one sermon to each of the basics of church life mentioned in this passage - the apostle's teaching, fellowship, the breaking of bread, prayer, etc. The fact that Tim felt led by God to preach from this text - without any input from me - confirms the fact that this is indeed the very material God wants us to study this fall. I invite you to join me as we seek together how to go "forward to basics." May we major in the majors of church life and of personal discipleship. As we do, the challenges before us will become channels of rich blessing, both for our church and for our individual lives. With this introduction, please turn with me to our Scripture reading for this morning. It comes from the first chapter of Acts, and helps to set the stage for chapter 2. It also lays out clearly God's vision for our church. Listen now to God's Word from Acts 1:1-8. 1 Dear Theophilus: In my first book I told you about everything Jesus began to do and teach 2 until the day he ascended to heaven after giving his chosen apostles further instructions from the Holy Spirit. 3 During the forty days after his crucifixion, he appeared to the apostles from time to time and proved to them in many ways that he was actually alive. On these occasions he talked to them about the Kingdom of God. 6 When the apostles were with Jesus, they kept asking him, "Lord, are you going to free Israel now and restore our kingdom?" 7 "The Father sets those dates," he replied, "and they are not for you to know. 8 But when the Holy Spirit has come upon you, you will receive power and will tell people about me everywhere-in Jerusalem, throughout Judea, in Samaria, and to the ends of the earth." All of a sudden I'm jarred from my daydream by young voices yelling at me: "Pastor Mark, Pastor Mark, you try it. Pastor Mark, you shoot an arrow. You show us how it's done." At first I try to dodge the invitation. "Naw, that's okay. You show me." But the little Indians are insistent. "No, Pastor Mark. You do it. You show us." My resistance stiffens. Here I am, the new pastor of IPC, and I'm about to show the kids of the church what a klutz I am. I can hear it now, being passed all around camp, "You should've seen Pastor Mark. He completely missed the target. And then his arrow killed a squirrel. We don't like Pastor Mark anymore. He’s not nice." Yet the more I protest, the louder the kids become. "Pastor Mark, you do it. Just one arrow! C'mon, Pastor Mark. Show us how!" Jesus says, "When the Holy Spirit has come upon you," - I'll have more to say about the Spirit next week - "you will receive power and will tell people about me." Literally, he says, you will receive power and you will be my witnesses. You will bear witness to what you have seen and experienced. You will tell people about who I am, Jesus says, and what I have accomplished. You will spread the good news about me everywhere. But a few disciples can't do it everywhere. Moreover, they've got to start somewhere. So Jesus tells them where to begin: in Jerusalem, the innermost circle of the gospel target. Aim your first arrows here, Jesus says. Start right where you are, he says. Tell people about me right here in Jerusalem. As we read this text today, we mustn't interpret it literally, as if Jesus were telling us to begin our ministry in Jerusalem. Rather, we need to contextualize his command for ourselves. Jerusalem, for us, means Irvine, or Costa Mesa, or Lake Forest, or Newport Beach. Our "Jerusalem" is the place where we find ourselves today. Jesus is saying to us, First tell people about me right here in South Orange County. My friends, our first calling as a church is to share the good news of Jesus right here. That's the reason God has placed Irvine Presbyterian Church in Irvine. We're not here only to provide a church for Presbyterians in this area. We're not here only to care for each other. We're here so that, together, we might bear witness to Jesus Christ in our community, right where we live. This is our primary mission. It's why we call ourselves a "missional" church. In days gone by, Christians in Europe and America used to think of mission as something far away, in Africa or Asia or Latin America. Everybody here is Christian, they figured, so mission must be far away. But, whether this was ever really true or not, it's certainly true no longer. The vast majority of our neighbors, though they might have some idea of being Christian, are not experiencing the truth of the gospel in any meaningful way. They're not walking with the Lord, and they don't even know how. God has sent us here to tell them how and to show them through our own lives. Furthermore, and this might blow you away, there are now about 300 million more Christians in Africa, Asia, and Latin American than in Europe and North America combined. The old notion of Christianity as a Western reality has long since been eclipsed by the new reality of worldwide Christianity, where the majority of believers live in the southern hemisphere. These days, hundreds of Christian missionaries are coming from Africa, Asia, and Latin America to Europe and North America to bear witness to Christ in the increasingly godless West. Moreover, if you have a passion for reaching the world for Christ, you can probably begin right on your own block. In fact 43% percent of fair Irvine is now non-white, with Asians making up almost a third of the population. Some of these folks are already Christian, of course, but most are not. None of this means that we don't share in the responsibility of spreading the gospel throughout the world. In fact we do, clearly. That's what the outside circle is all about. We're to tell people about Jesus "to the ends of the earth." But first we're to make sure we do it well right here in Jerusalem, right where God has put us today. Sisters and brothers, I can't emphasize enough how essential it is for us to embrace our "Jerusalem calling." As we do, it will change our lives, our church, and our community. More importantly, we will hit the bull's eye of our calling. When I first arrived at IPC thirteen plus years ago, I often heard people talk about the ministry that happens on our church campus as "for us," and missions, which usually meant ministries far away, as "for others." So, for example, the worship of this church was "for us," while our involvement in Tijuana Christian Mission was "for others." Now the fact that our partnership with Tijuana Christian Mission was "for others" was mostly correct, though perhaps it underestimated the extent to which involvement in mission for others actually transforms us. But, it was true that our missions commitments were mostly "for others." And this was great, just as it should have been. But by conceiving of what happened on this church campus as "for us" we were making a grave theological mistake. We were forgetting our calling to be witnesses in our "Jerusalem." We were shooting for the outside ring of the target - as indeed we should have - but missing the bull’s eye. Now I don't mean to sound harsh, because IPC was simply thinking in the way that northern hemisphere Christians had been thinking for centuries. Mission was always "over there." But these categories of thought aren’t right. They don’t make sense any longer in today’s world. More importantly, they simply aren’t biblical. They don't reflect the calling of Acts 1:8, not to mention hundreds of other biblical texts. The truth is that what we do here on this campus should be both "for us" and "for others." Our worship should be primarily "for God," of course. But our calling is to draw into worship, not only those who consider IPC their church home, but also our neighbors who are not worshipping this weekend, or any other weekend, for that matter. Our children's ministry should certainly be for the purpose of making disciples of "our own" children. We have no higher calling as a church. But, at the same time, everything we do in our children's ministry should also be designed to draw young people from the outside in. As most of you know, in July we brought on a new high school director, Eric Smith. One of the things that so excites me about Eric is his utter refusal to buy into the common "either/or" of youth ministry. He's not here either to disciple our own teenagers or to reach out to kids in the community. He's here for both. He knows it. He believes it. And he has equal passion for building up our kids and for reaching out to others. Under Eric's leadership our high school ministry will be both "for us" and "for others," just as it ought to be. And that's the way it should be with all of our ministries across the board. So if you've been thinking that what happens on this campus is "for us," then think again. Think in God's terms. It is for us, and for others. God has placed us here both to build up one another in love and to be witnesses in our Jerusalem. If you've been thinking that our mission is only out there across the sea, then think again. Think in God’s terms. God has called us to be involved in his worldwide mission, and I'm thrilled about our growing commitment to this endeavor as a church. But, let's be clear, from God's perspective, our mission begins right here on our doorstep. God has placed us here in Irvine, not only to partner with missionaries elsewhere, but to be his missionaries right here. Today I'm reminding us to embrace once more our calling to be witnesses to Christ in our Jerusalem. Whether we're building buildings, doing a capital campaign, leading worship, serving pizza lunch, gathering for Mommie Time, meeting as the Primetimers, or you name it - our mission as a church begins here. What we do in this place must always be for others in addition to ourselves. Your individual calling has two dimensions. On the one hand, you are essential to our mission as a church. Your particular role will be unique to you, of course. Some of you will be on the front lines, serving at pizza lunch or welcoming people to our worship services. Others of you will be in a support role, perhaps setting up for communion or serving on a capital campaign committee. But, no matter what your specific role, keep in mind that you are part of a church that is here for others. God has called us together to reach out beyond ourselves into this community. The second dimension of your calling is more personal. Not only does IPC have a "Jerusalem," but so do you. Your "Jerusalem" is the place where you live: your family, your neighborhood, your office, your soccer team, your classroom, your gym, your golf club, your political group, or you name it. God has placed you where you are so that you might bear witness to him in these places. Now this doesn't mean you pick up a "Trust Jesus" placard and start picketing in the lunch room. When and how you share Christ will vary tremendously, and your effectiveness will depend upon how faithfully you live as a Christ-like person in your world. But, let's be clear about this, one of God's main strategies for reaching our neighbors is working through you in the relationships you have with people in your ordinary life. Now I realize that this sounds rather scary to many of us. Maybe you came to church today expecting a nice spiritual boost and instead you got draft notice for a mission you didn't even realize you had. Or maybe you just feel overwhelmed and aren't convinced you can pull it off. Or maybe you're afraid that if you tried to share Christ with anyone you'd just botch it up. If you can relate to any of these hesitations, or if you have a few extras of your own, don't despair. I've got great news for you. But you'll have to come back next week to hear it.